During the latter half of 2018, we had the exciting opportunity of being able to attend the 63rd edition of the highly prestigious L’Oreal Hair Colour Trophy competition award ceremony. w&h Beauty editor, Martinique Stevens, got the chance to have a chat with the winner of the Colour Trophy category 2018 award, Stacy Fagan of HAIR at Stacy & Co in Greenside, Johannesburg, on the surprising inspiration behind her cut and colour choices, expert advice on how to maintain fresh salon colour at home, as well as her predictions on the hair colour and cuts for 2019. Talk us through the inspiration behind your winning cut and colour? 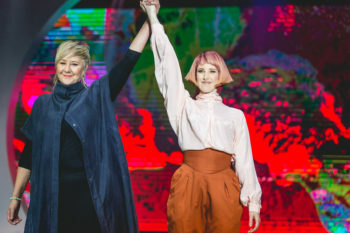 Creating the winning L’ÓREAL Colour Trophy 2018 ‘look’ was an especially wonderful & thrilling feeling & event in my 30 year hair career! I believed ever since I started hairdressing that I would win one day, I just didn’t know when. It’s fantastic to have come up with a colour style and cut that appealed to the judges this year. I really enjoy entering hair competitions, as it makes me dig deep, stretching my creativity & stepping out of my comfort zone. From each competition entered I always find that I become bolder in the salon, and clients benefit by my confidence in suggesting upcoming trends & keeping them fashionable & informed. My inspiration for the winning look was the inside of a peach. I loved the contrast of the colour and how it melted together in such a complimentary way. I think we have this dynamic adventure park called earth to get inspired with many fresh ideas, one just needs to be aware. 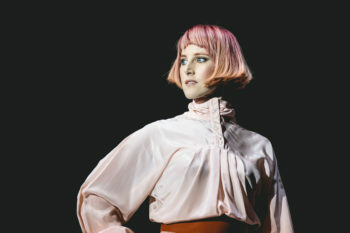 My model, Kirsty Rae, was also my inspiration for my colour and cut choice. Her eye colour, skin tone, facial shape and bone structure inspired me a lot and the final choice was tailor made for her, bringing her facial features to life. I would insist that the colour should always compliment the client’s skin tone, eye colour and facial structure, and most importantly, make him/ her feel good about themselves. Whether dark or light hair, the techniques of balayage, colour melts, baby lights and foilyage can be adapted and personalised to each clients’ specific needs. Highlighting in thick, noticeable streaks are out of fashion. Shadowy roots and softer pastel shades are becoming more popular as maintenance is minimal, so I think 2019 will see more of it. I predict cuts like the bowl, undercut and pixie cuts for short hair will be making a big return. Yep, even the dreaded 80’s mullet will start returning, but it’s been revamped in such a trendy way, that it’ll become a must have, whether your hair is a shorter or longer version of it. Chunky, choppy bobs with texture, waves for movement. Long hair will have a loose ‘S’ wave with a sleek or messy textured cut. Fringes have been revamped and blow waved like Farah Fawcett days will also making a comeback. Pinterest has many fabulous pics to choose from. They contain a high percentage of active ingredients developed to look after a professional colour service. Supermarket products are filled with water, harsher cleansing agents & very little active ingredients which strip the colour & dry out the hair. …like heat-protection products, nourishing oils and colour protection products combat atmospheric conditions like the sun, salt and chlorine which can also lift colour out. Check your hairdryers, irons & brushes regularly to see if they’re in great working condition. If the element in your hairdryer/iron is broken it can fry/sizzle your hair. Ironing on blonde hair should always be on 190° or it will go yellow and on darker hair up to 210° maximum. Take your tools to your stylist to have them checked out. Good brushes are hugely important – they must have a ceramic ion barrel which allows the brush to not get too hot. Boar bristle brushes are also great. 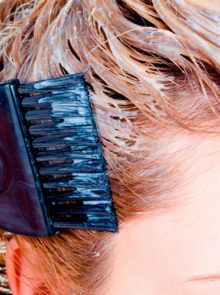 Brushes need to be changed up every 1 – 2 years, depending on how often you style your hair. 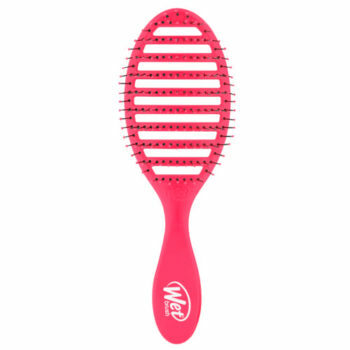 Use a wet brush when brushing hair out after washing, it is much gentler on the hair fibre.